We've been enjoying the warming weather and prepping our classroom garden beds for the summer outdoor learning project. The TLC summer semester begins June 1st. Preschool graduation into kindergarten will be in August. What else have we been up to? So glad you asked! The 5th Annual TLC Kentucky Derby Party is just around the corner! Do you have tickets yet? Tickets: $150.00, purchase online at www.learningwithtlc.org/derby, or call us at (303)776-7417, or stop in during business hours to purchase at the front desk. Where: Shupe Homestead, 11931 N. 61st St. Longmont 80503. What’s included: Watch live streaming of all races on big screen TV’s, place bets on your favorites to win, enjoy bottomless mint juleps poured out by Mike O’Shays, enjoy beer from Left Hand Brewery, food from Jules Gourmet Catering, cigars from Havana Manor, win our judged hat contest, bid on exciting live and silent auction items, challenge your friends in a “horse” race set up by the TLC teachers (bet on your friends! ), or just sit back and enjoy the beautiful views of the mountains and foothills. We are also accepting donations for baskets, gift cards, and other prizes. Check the board by the new activity room for more details. (All donations count toward your parent volunteer hours.) We hope to see you at the party! 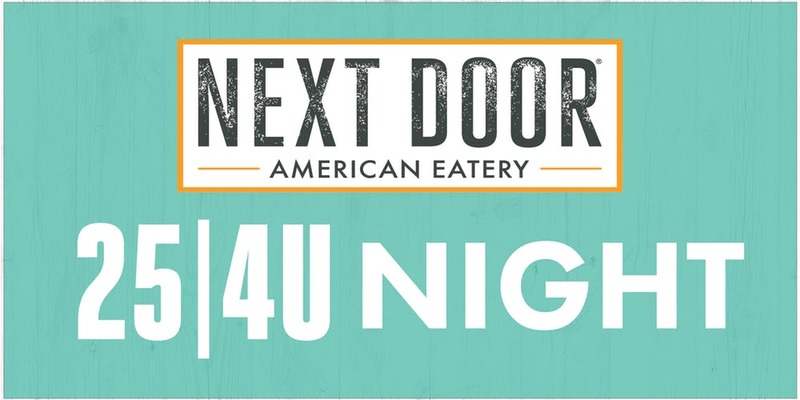 Please join us for dinner on Monday, May 20th between 5 and 9 PM (drop in any time in that window) at Next Door American Eatery in the Village at the Peaks in Longmont. Twenty-five percent of your food and drink purchase will go back to TLC programs. TLC is well into our renovation of the former activity room into the new toddler classroom. We are grateful to Boulder County Worthy Cause and our donors for making this renovation possible so we can better serve the community. YogaKids and Young Athletes have moved into the repainted and revived former board room. TLC recently completed Colorado Shines ratings, and we are so proud of our teachers and staff for making it through this tough process and for still delivering uninterrupted, high-quality programming while observers from Colorado Shines were in and out of their classrooms, taking notes. We'll share results on our rating when we have them. TLC is currently rated a Level Four of Five. At the 2018 Christmas Tree Festival, Stapp Toyota became our first Angel level sponsor, and are sponsoring TLC again at the 5th Annual TLC Kentucky Derby Party. They also featured TLC in a commercial that is airing on networks now. In addition to the commercial, Stapp created a series of videos about TLC for their blog. Check out the overview of TLC pediatric therapies in the video below (click here or on the video image to view). 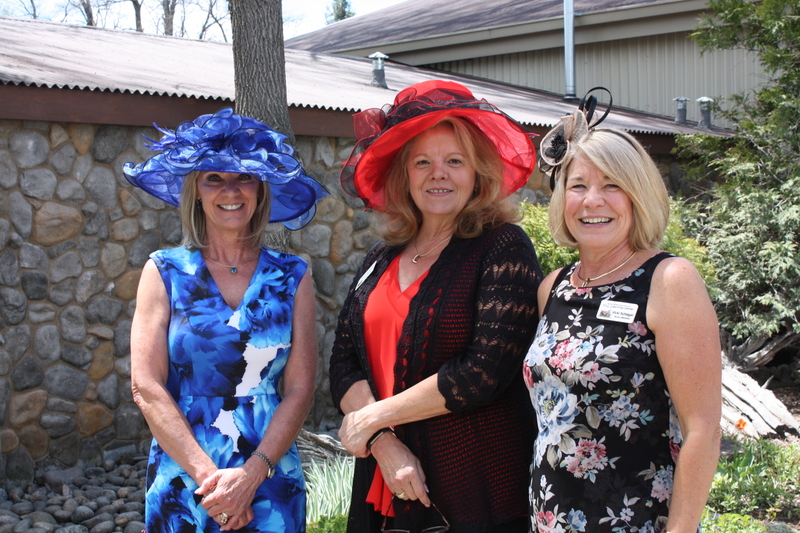 The 5th Annual TLC Kentucky Derby Party will be held on May 4th at Shupe Homestead in Longmont. Tickets are on sale now at our website, by phone, and on our campus. If you are not on our Kentucky Derby Party mailing list and would like to be, please respond to this email. TLC preschoolers test out our racing horses for an obstacle course you can try out at the derby party (or sign up your friends to try).